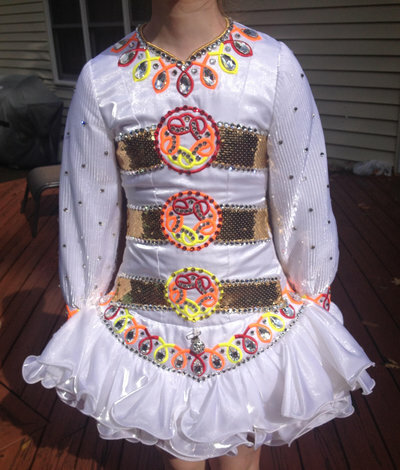 This beautiful Siopa Rince dress was sadly outgrown by our dancer. 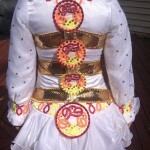 It has a white bodice and sleeves with red, orange, and yellow Celtic knots. 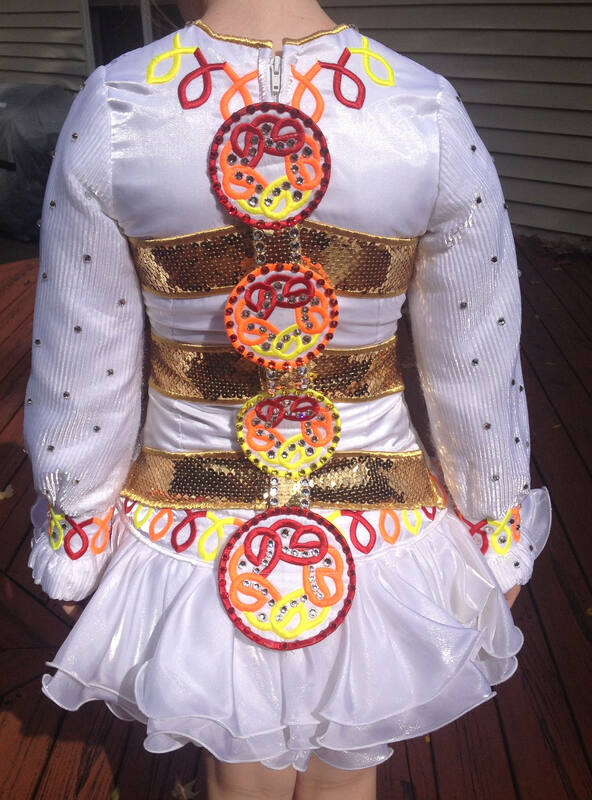 It has gold sequin accents and lots of Swarovski crystals. The dress has some wear on the inside of both sleeves where it hits the sequins. You do not notice it on stage. This dress was just professionally cleaned and comes from a pet free, smoke free home. The sleeves can be let down approximately 1 inch.